Jeanine Payer Jewelry is unique among jewelry designs. It has a character all its own. The Payer signature is poetry. 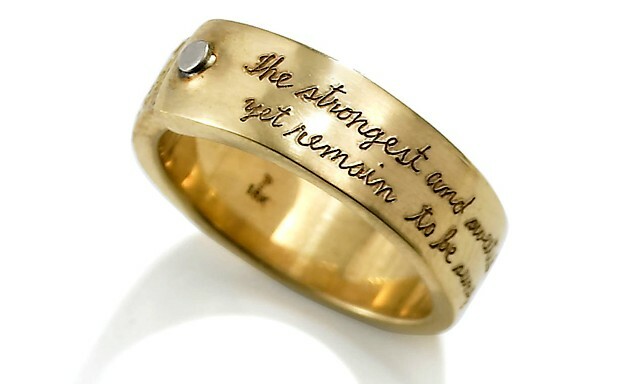 Each piece of jewelry is hand engraved with poetry of the masters of reflection like Dickinson, Rumi, Ovid, Lao Tzu, and Jane Hirshfield. Payer is popular among several important customers like Susan Sarandon, Johnny Depp, Meg Ryan, Sheryl Crow, and Mick Jagger. She has 250 stores worldwide, especially noted are those in San Francisco, New York, Los Angeles, and Japan. Poetry bearing jewelry has the potential to have great meaning and can mark very special events in one’s life. 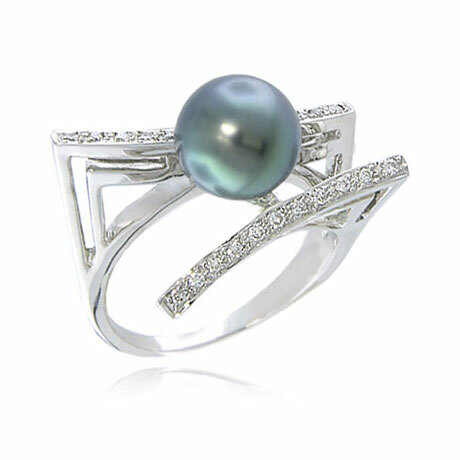 When Payne’s interesting jewelry began to capture attention in 1988, her career was launched. She grew up surrounded by culture and was encouraged to express creativity, which she did in many ways. Her particular interest in jewelry paid off. Her unique designs drew attention in Southern California and spread from there. Jeanine Payer jewelry is subtle yet powerful. Sometimes the messages of the pieces are only known to the wearer. They are sought after to mark special occasions and growth. The jewelry sends a special message to the wearer. It may serve as a reminder, or encouragement. The jewelry pieces themselves undergo a one of a kind process that creates very interesting texture akin to sand paper or pockmarked surfaces. The process results in no two pieces being exactly the same. The designs are simple but stunning. Most pieces have smooth shiny surfaces for the hand engraving, and rough sections in their design. The Jeanine Payer jewelry collection includes bracelets, necklaces, earrings, and rings. The collection also includes objects like trinket boxes, bowls, key chains, and spoons. The men’s collection includes masculine jewelry, cuff links, rings, tasteful necklaces, etc. 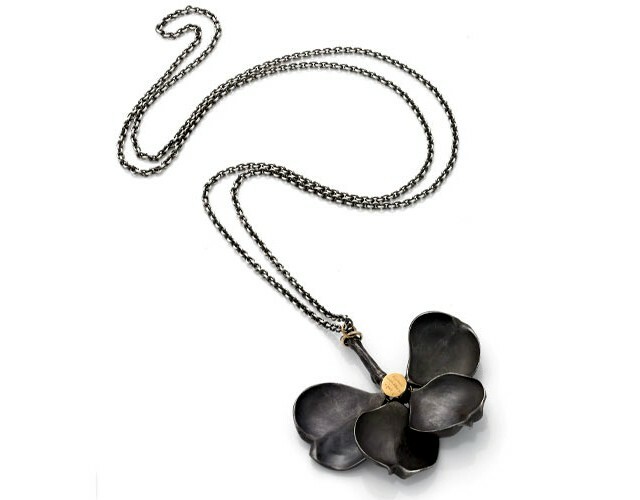 Payne generally works in sterling silver and occasionally 18k yellow gold. Each piece of Jeanine Payer jewelry can be purchased with engraving already in place. It can also be custom engraved. 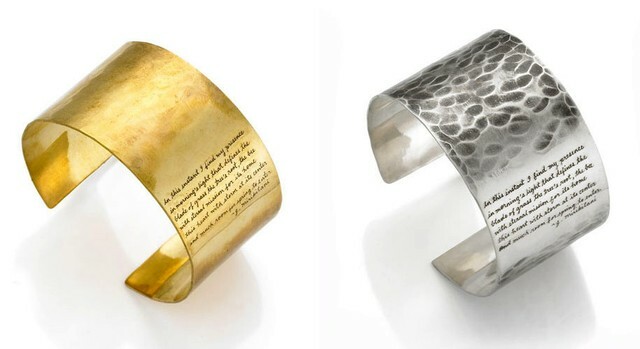 Pieces can be engraved with one of the poems selected by Payne or the buyer can choose one that is meaningful to them. Names, dates, milestones, etc can also be ordered. A piece of jewelry can really become one of a kind during this process. Variations in each piece are not considered flaws, but unique characteristics of handmade jewelry. Personalized engraving makes the piece even more unique to the wearer. Each Payer piece is one of a kind.